Bono is an Irish singer-songwriter who is best known as the lead vocalist and primary lyricist of rock band U2. U2’s music has sold millions of copies worldwide and there’s no wonder why they are one of the best bands in history. Bono’s net worth is estimated to be $700 million dollars, making him the 2nd richest rock star! Thanks for checking out these powerful Bono quotes; an incredible singer who we can all learn a lot from. Don’t forget to share them on social media with your friends and family. 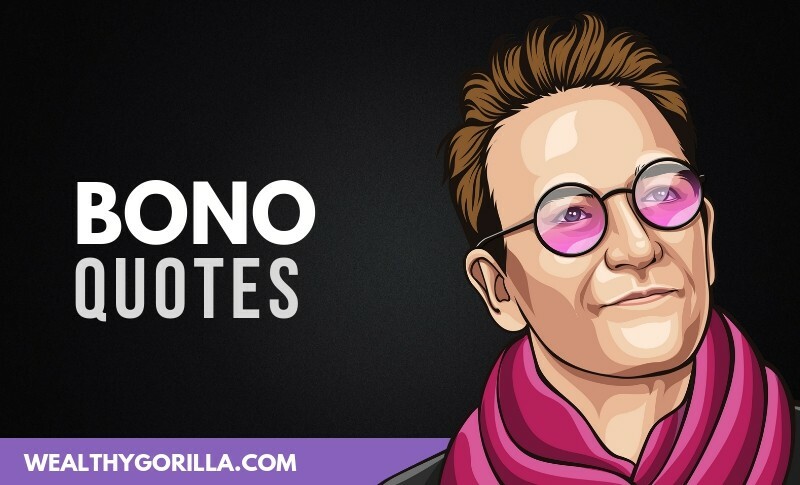 Which are your favorite Bono quotes? Leave a comment below.